ALLEN, Texas — WatchGuard, Inc. (“WatchGuard”), the leading provider of mobile video solutions for law enforcement hosted Navy SEALs and members of the U.S. Special Operations community at its world headquarters in Allen, Texas as part of its commitment to advancing the mission of The Honor Foundation (THF). THF is a unique transition institute created exclusively for Navy SEALs and the U.S. Special Operations community. The organization is dedicated to preparing these outstanding men and women to continue to realize their maximum potential during and after their service career by providing a program for professional development. The program focuses on key transitional readiness themes developed through extensive research and feedback from an extensive alumni network and Employer Partners like WatchGuard. 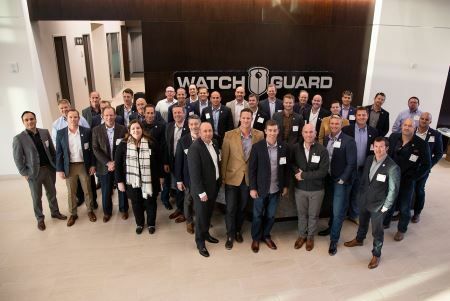 During the visit to WatchGuard, THF members toured the Company’s 140,000-square-foot facility and engaged in discussions with WatchGuard executives regarding hiring practices, organizational design and skill sets currently in demand within market-leading technology companies serving law enforcement. WatchGuard is the leading provider of mobile video solutions for law enforcement. Our products include in-car video systems and body-worn cameras along with evidence management software. Our solutions increase transparency and accountability, improve trust between law enforcement agencies and the communities they serve, reduce agency liability and advance the judicial process. We have supplied our products to approximately one-third of all law enforcement agencies in the United States and Canada. Request more product info from Watchguard Video.